A Contribution by Bobby Fischer. In a previous post I wrote about the clash between Queen vs. Rook+Rook and I even said that two pieces seemed stronger than one (depending on concrete details, of course). The great Bobby Fischer provoked in no less than five of his games the fight between his Q and his opponents’ R+R. BUT always a Pawn up for Bobby (even though sometimes he had doubled Pawns too , which apparently seemed a handicap.) This is a difficult struggle of heterogeneous forces and the key is to maintain the material advantage and the creation of threats one move after another without respite, with the advance of the Pawns on the one hand and the activity of the Queen on the other. This requires deep intuition and great calculation skills. Any mistake and the two Rooks would bounce back stopping the threats and creating deadly ones on their own because they are “two against one”. So the side with the Queen must handle the concept of “timing” with absolute dexterity. You can see how Fischer managed to do it. The games are wonderful. Fischer had repeated the theme in the game he played vs. Bisguier in the Stockholm Interzonal, 1962, beating his opponent in 54 moves. 18. Rxg7, Qxg7 19. Rxg7, Kxg7 20. Qf4, Rac8 21. h5, ,c5 22. Qg4, Kf7 23. Qg6, Ke7 24. dxc5, Rxc5 25. Qxh6, Rg5 26. b3, e5 27. Kb2, Rf7 28. a4, Ke6 29. Qh8, Re7 30. h6, Kf7 31. Qh7, Kf8 32. Qd3, Kf7 33. h7, Rh5 34. Qd5, Re6 35. f4, f5 36. fxe5, Rxh7 37. Qd7, Re7 38. Qxf5, Ke8 39. f4, Kd8 40. e6 , 1-0 An impressive game. I am unable to teach Chess to other people. Since I am also a humble student of Zen I have found many points of contact between Chess and Zen Philosophy. Other people have done the same. Going back to Chess, when I heard some people saying they want to learn the game I see I could show him/her the movement of the pieces and that is all. You may say this is not always so, that there are hundreds of players not doing so, etc. But then the same odd question assaults me: why today’s super -GMs lack the charismatic image those from the past had?. Why in the past the names of Fischer, Spassky,Karpov, Capablanca, rang a bell even to non-chessplayers? AND I AM NOT SPEAKING OF THE DEATH OF CHESS OR A SIMILAR COMMONPLACE. I simply show my opinion on this matter. Chess is a millenary game and I’m sure it will survive as it is. No matter what the elite do. Chess is much more than the first 50 players in the ELO rating list. 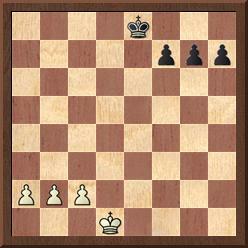 This position appeared after White’s 19th move. It’s Black’s turn to move. S. Reshevsky chose 19…, Bxc2 (because 19…Qc8 allows 20.Bxf5, Qxf5 21. Qb3 ). What would you play now? Choose a course of action before looking at the game continuation. 20…, Qe8/ 21. Qxb4, a5/ 22. Qc3, Bg6/ 23. Nh4, Na4/ 24. Qb3 Nxc5/ 25. Rxc5, c6 26. Rec1, Re6/ 27. f4,f5/ 28. a4, bxa4/ 29. Qxa4, Rb8/ 30. Qa3, Qd8/ 31. Nxg6, hxg6/ 32. Rxc6, Rxc6/ 33. Rxc6, Qh4 /34. Rxg6, Kh7 /35. Rg5, Rb4/ 36. Qf3! ,Kh6/37. g3!, Qxh3 /38. Qxd5 and Black resigned. Progressing in Chess can be painful. Today you have access to tons of information and most of it in real time. You study openings, you have a look at recent games (most of which may follow theory up to move 30 or even more…) , you ask Houdini, Fritz, etc what to do, you realise the old way of studying Chess is now out of fashion (you don’t know why, but …), you dream to meet any GM and beat him/her in a briliant game in which you have managed to follow theory up to the 35th move, etc. My question is: “Do they (today’s GMs) play Chess“. Rather they and (we) simply play opening variations. Where have all those beautiful strategical plans gone?. You may say today’s Chess is different from the Chess played in the past. Yeah. And more because today everybody wants to live on Chess. Money has attracted quantity. I’m afraid “quality” has been left behind in some forgotten place…Of course this is only a personal opinion, but some voices have been raised concerning all this. One may say that this may be true for super-professionals, and that the situation is quite different on other levels. The state of Chess today is rather messy: people under suspicion of cheating who is searched, people caught cheating directly, young boys who only want to earn money and that at 18 has played more games than Fischer or Capablanca in their entire lives, parents -as in any other sport- trying to make a profit out on their chessplaying children (the younger, the better, the earlier, the better, no matter if the boy/girl has to abandon his/her studies and start wandering from playing hall to playing hall since he/she is 8 years old…). You may say this is not really so, and that cases like these are exceptions, but I agree to differ… I prefer playing Chess but also thinking that I am making an effort to understand the richness of the millenary game. I prefer seeing Chess like the great GMs: as a way of life, as a philosophy of life. “ZWISCHENZUG” : German word to describe an “intermediate move”, which can be defined as an unexpected move made in the middle of a sequence of moves and which forces the opponent to take immediate action against the immediate threat that poses so altering what seemed the logical development of the line in question. An intermediate move decoys an enemy’s piece, forces to defend immediate mate, attacks hanging pieces, checks to win a tempo, brings one piece into play provoking a threat, etc. You all know all this. Every GM uses them in their plans and calculations. But did you know this device has been the hallmark of Capablanca and Fischer, whose games are full of intermediate moves to implement their attacking plans, to entice their opponents into active ,even apparently winning, plans simply to smash them out of a sudden, to force their opponents into making mistakes or to create tactical whirlwinds and complicate the game to the utmost?. And I can even say a bit more: Fischer’s extreme ability rested on the fact that he was able to find every intermediate move in any possible line. Well, in this post I propose the reader a field day in a rather classical style. First of all, solve the following tactical exercises from actual games (the solutions are at the end of the post). Then analyse, in depth, the game I include trying to understand the moves and finding all the “intermediate” moves it contains. Do it with board and pieces. (Position from the Black side): Black to move. ??????????????????? (Do you know who played this game? 1.- : 32. Rxe6!, Ba3 / 33. Na3, Ke6/ 34. Qg4, Ke7/ 35. Rf2, Re8/ 36. Qg5, Kd7/ 37. Rf7, Kc8/ 38. Qf5, Kb8/ 39. Qd7, 1-0. 4.-: 23. Rxe4!! 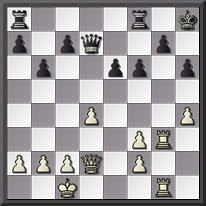 (if you have found this move and the idea behind you have solved the problem), Qxg3/ 24. Rxd4!, Qg4/25. Rxg4, Bxg4/ 26. Bxg6, Rhg8/ 27. Bh7, Rh8/ 28. Bd3, Rde8/29. f7 and White won on move 47th. 5.- : 27. …, Nc3!/ 28. Kc1, Na4!/ 29. Kb1, Rxb2! !/ 30. Rxb2, Nc3/ 31. Kc1 , Qa3! 32. Bd3, Qa1 / 33. Kd2, Qxb2/ 34. 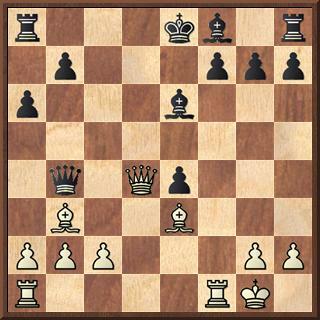 Ke1, Ne4/ White resigned. In 1966 the Piatigorsky couple (the famous cellist George Piatigorsky and his wife Jacqueline) organised the “2nd Piatigorsky Cup”. The first one had taken place three years before. This time, Mrs Piatigorsky decided to invite Bobby Fischer who had not been invited in the previous one -provoking some disrespectful comments on Bobby’s part…-. The great event was scheduled to be played from July 17th all through August 15th, the venue was Santa Monica, California, USA. The importance of he tournament was such that even FIDE recommended its member nations not to organise any other event during the celebration of the Piatigorsky one. It was a double round-robin tournament and the always seemingly reluctant Soviet authorities (sending players to the USA…) even agreed to send two players to it , and they were no others than the current World Champion Tigran Petrosian and the challenger Boris Spassky, the two best players in the world (during those years I consider that the World Champion and the challenger were the best players in the world though it is a matter of opinion) and who had just played for the title with the victory of Petrosian, as everybody knows. Besides these two super GMs, the list of players included Bobby Fischer, B. Larsen, W. Unzicker, L. Portisch, S. Reshevsky, M. Najdorf, B. Ivkov and J. Donner. The event seemed tailored to Fischer’s taste: he had always complained about the USA Championships, with few players and in which any small “accident” may cost the championship: here every player would have to play eighteen games against some of the best chessplayers in the world. Nevertheless, Fischer started the tournament in a rather dull way, with a poor showing: when the first round-robin ended -9 games- he only had 3.5 points. He reacted in the second part of the event beating Reshevsky, Portisch, Ivkov, Donner, Larsen and Najdorf. With two rounds to go Spassky and him were leading the field. But Spassky seemed unbeatable, playing overwhelmingly strong Chess to emerge as the winner with 11.5 points and no losses ( Boris won five of the nine matches and drew the rest losing no game at all). Fischer was second winning more games than Boris but losing three of them. The rest were Larsen, Unzicker, Portisch, Petrosian (a poor performance by the World Champion),Reshevsky,Najdorf, Ivkov and Donner. Knowing Fischer’s character, one may suppose that the worst for him was that he was unable to defeat Petrosian (two draws) and the loss in his particular duel with Spassky (1.5 -0.5 for the Soviet). 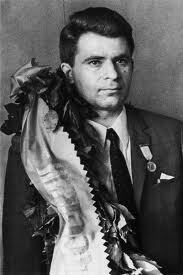 I have read that during Petrosian’s years as World Champion many people considered Spassky as the “real” champion (poles apart stylistically speaking ,one may share or not this opinion but it is understandable. Spassky was not only an attacking player with what was defined as a universal style, he was also one of the most difficult players to beat, and up till 1972, he was Fischer’s “bête noir”). 1. d4, Nf6/ 2. c4, g6 / 3. 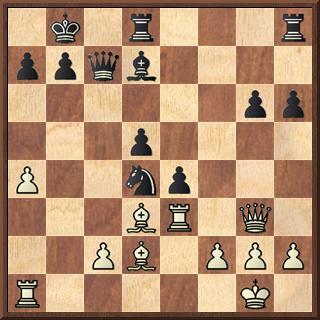 Nc3, d5 / 4. cd, Nd5/ 5. e4, Nc3 / 6. bc, Bg7 / 7. Bc4, c5/ 8. Ne2, Nc6/ 9. Be3, 0-0 / 10. 0-0, Qc7/ 11. Rc1, Rd8/ 12. Qe1, e6 / 13. f4, Na57 14. Bd3, f5 /15. Rd1, b6 / 16. 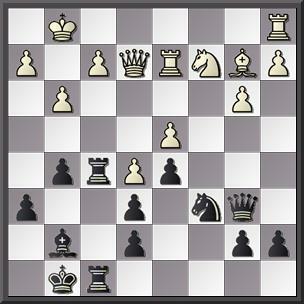 Qf2, cd/ 17. Bd4, Bd4/ 18. cd,Bb7/ 19. Ng3, Qf7 /20. d5, fe/ 21. de, Qe6/ 22. f5, Qf7/ 23. Be4, Rd1/ 24. Rd1, Rf8/ 25. Bb1, Qf6/ 26. Qc2, Kh8/ 27. fg, hg/ 28. Qd2, Kg7/ 29. Rf1, Qe7/ 30. Qd4, Rf6/ 31. Ne4, Be4/ 32. Be4, Qc5/ 33. Qc5, Rf1?/ 34. Kf1, bc/ 35. h4, Nc4/ 36. Ke2, Ne5/ 37. Ke3, Kf6/ 38. Kf4, Nf7/ 39. 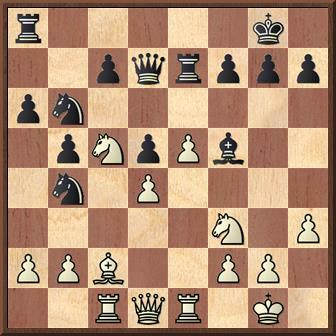 Ke3, g5/ 40. h5, Nh6/ 41. Kd3, Ke5/ 42. Ba8, Kd6/ 43. 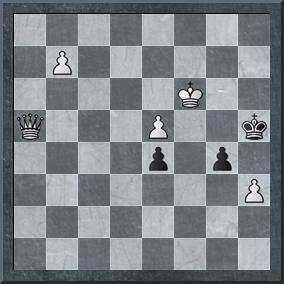 Kc4, g4/ 44. a4, Ng8/ 45. a5, Nh6/ 46. Be4, g3/ 47. Kb5, Ng8/ 48. Bb1, Nh6/ 49. Ka6, Kc6/ 50. Ba2 .Black resigned. 1. d4, d5/ 2.c4, dc/ 3. 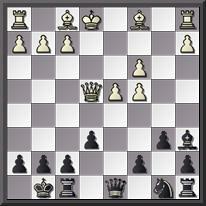 Nf3, Nf6/ 4. e3, Bg4/ 5. h3, Bh5/ 6. Nc3, e6/ 7. Bc4, Nbd7/ 8. 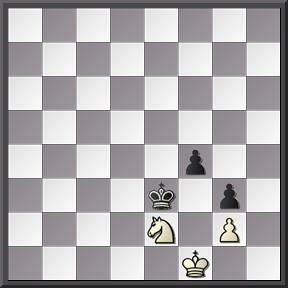 0-0, Be7/ 9. e4, 0-0/10.Be3, Bg6/ 11. 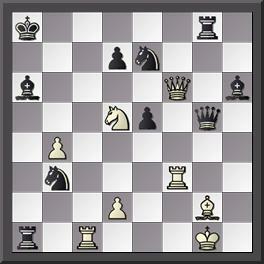 Bd3, c6/ 12. a3, Rc8/ 13. Re1, Bh5/ 14. Rc1, a5/ 15. Be2, Bg6/ 16. Nd2, Ra8/ 17. Qb3, Qb8/ 18. Bf3, h6/ 19. g3, Rc8/ 20. 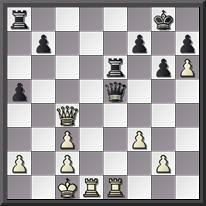 Bg2, b5/ 21. e5, a4/ 22.Na4, ba/ 23. Qb8, Rab8/24.ef, Nf6/ 25. Nc4, Nd5/ 26. Ne5, Ne3/ 27. Re3, Rb2/ 28. d5, Rc2/ 29. Rc2,Bc2/ 30. Nc6, Kf8 /31. de, fe/ 32. Ne7, Ke7/ 33. Bd5, e5/ 34. Be4, Bb3/ 35. Bb7, Rc1/ 36. Kh2, Ra1/ 37. Re5, Kd6/ 38.Re3, Ra3/ 39. g4, Ra2/ 40. Kg3, Rb2/ 41. Re1, a3/ 42. Be4, a2/43. f4,Rd2/ White resigned. 1. d4, Nf6/ 2. c4, g6/ 3. g3, c5/ 4. d5, d6/5.Nc3, Bg7 / 6. Bg2, 0-0 /7.Nf3, Na6/ 8. 0-0,Nc7/9. a4, Rb8/ 10. h3, b6/ 11. e4, a6/ 12. e5, Nd7/ 13. ed6, ed6/ 14. Bg5, f6/ 15. Bf4, Ne8/ 16. h4, Ne5/ 17. Nd2, Nf7/ 18. Re1, g5/19. hg5, fg5 / 20.Be3, Ne5/ 21. Nce4, h6/ 22. Ra3, Ng4/ 23. Qc1, Rb7/ 24. Bf3, Rbf7/ 25. Bg4, Bg4/ 26. Qb1, a5/ 27. Qc1,Be5/ 28. Kg2, Qd7/ 29. Rh1, Qf5/ 30. Bg5, hg5/ 31. f3, Nf6/ 32. fg4, Qg4/ 33. Qd1, Qd1/ 34. Rd1, Ne4/ 35. Ne4, g4/ 36. Rd2, Bd4/ 37. Ra1, Re7/ 38. Nf2, Re3/ 39. Ng4, Rb3/ 40. Nh2, Rb4/ 41. Re1, Rc4/ 42. Re6, Ra4/ 43. Rd6, Rb4/ 44. Rc6, a4/ 45. d6, Kf7/ 46. Nf3, Ke6/ 47. Nd4, cd4/ 48. d7, Kd7/ 49. Rh6, Rf5/ 50. g4, Rd5/ 51. Kf3, d3/ 52. Rf6, b5/ 53. Rf4,Rc4/ 54. Re4, Kd6/ 55. Ke3, Rc2/ 56. g5, Rc1/ 57. Rg4, Re1/ 58. Kf2, Re8/ 59. g6, Kc5/ 60. g7, Rdd8/ 61. Kf3, b4/ 62. Kf2, Kb5/ 63. Kf3, a3/ 64. ba3, ba3/ 65. Kf2, Rg8/ 66. Ke3, Rd7/ 67. Rd3, Rd3/ 68. Kd3, a2/ 69. Rg1, Rg7/ 70. Ra1, Rg2/ 71. Kc3, Ka4/ 72. Rh1, Ka3/ 73. Rf1, Rg8/ 74. 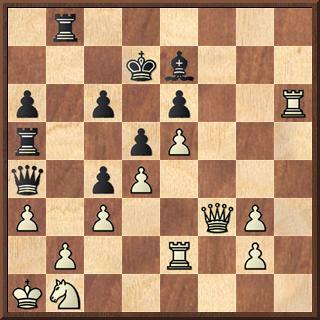 Rh1, Rc8/ White resigned. 1. c4, g6/ 2. d4, Bg7/ 3. Nf3, Nc3/ 4. 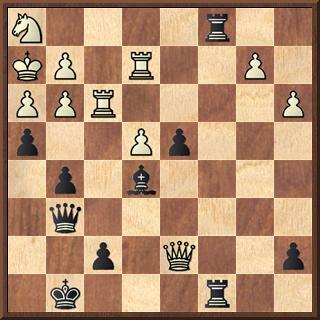 Nc3, Nf6/ 5. g3, 0-0/ 6. Bg2, Nc6/ 7. 0-0, a6/ 8. d5, Na5/ 9. Nd2, c5/ 10. Qc2, Rb8/11. b3, b5/ 12. Bb2, bc4/ 13. bc4, Bh6/ 14. f4, e5/ 15. Rae1, ef4/ 16. gf4, Nh5/ 17. e3, Re8/ 18. Nce4, Bf5/ 19. Bc3, Nb7/20. Qa4, a5/ 21. Rb1, Qe7/ 22. Rfe1, Bd7/ 23. Qc2, Bf5/ 24. Qa4, Kf8/ 25. Rb6, Rbd8/ 26. Qb3, Bc8/ 27. Nf1, Rd7/ 28. Nfg3, Ng3/ 29. hg3, Bg7/ 30. Qb2, f5 /31. Bg7, Qg7/ 32. 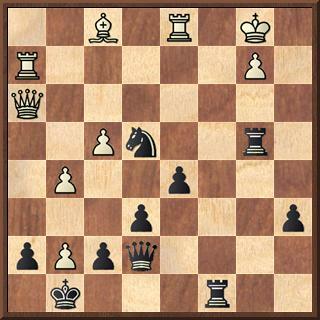 Nf6 , Black resigned. Our wonderful Chess microcosm is full of things we think we know…Though sometimes knowing nothing about something is better than believing we know something when do not know if we will be able to prove it in practice. ..
Who and why? -These would be two interesting questions to be answered. This few words have been a self-inflicted torture for me. How on earth one “just gets good“???? I want to know how. I need to know it. If you are a true chessplayer you cannot read this and keep on living as if nothing happens… We should spend a lifetime trying to find the answer to this …riddle?. And no, nobody has managed to explain this statement…Nor even Brady -as far as I know-. WRONG!- The Spanish player and author Pablo Moran , in his book on Fischer, explains that “…this move was first played in the game Freire – Rossolimo, at Coruña (Spain)International tournament 1951 – a not very known event, by the way. Mr. Moran says that Mr. Freire told him “If Rossolimo wants to attack on the Queen side I will attack on the King side .” I have been unable to find this game, but Mr. Moran was present there and among the participants was the former Spanish “wunderkind” and GM Arturo Pomar who apparently made second. 7. g4 Nxd4 8. Qxd4 e5 9. Qd3 Be7 10. g5 Nd7 11. Be3 Nc5 12. Qd2 Be6 13. 0-0-0 0-0 14. f3 Rc8 15. Kb1 Nd7 16. h4 b5 17. Bxh3 Bxh3 18. Rh3 Nb6 19. Bb6 Qb6 20. Nd5 Qd8 21. f4 ef4 22. Qf4 Qd7 23. Qf5 Rcd8 24. Ra3 Qa7 25. Rc3 g6 26. Qg4 Qd7 27. Qf3 Qe6 28. Rc7 Rde8 29. Nf4 Qe5 30. Rd5 Qh8 31. a3 h6 32. gh6 Qh6 33. h5 Bg5 34. hg6 fg6 35. Qb3 Rf4 36. Re5 Kf8 37. Re8 Black resigned.